their real names are Raul and Roberto. Just a note nagual is a correct term also nahualth is the same thing, different similar names for the same thing. kinda stargirl 4koma, back to the school and last year war are related. This entry was posted on Monday, December 10th, 2012 at 2:59 am and is filed under Uncategorized. You can follow any responses to this entry through the RSS 2.0 feed. You can leave a response, or trackback from your own site. Heh, he couldn’t a fly. Yay, we get to see Jinx fight stuff. 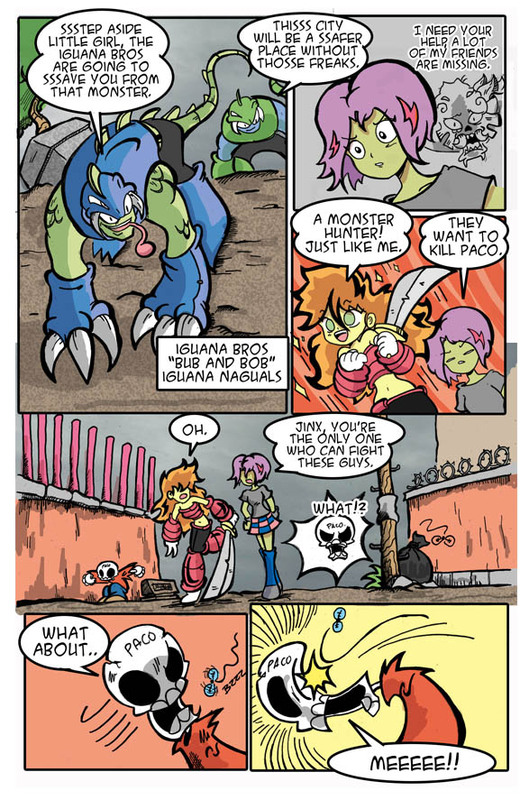 I like how the Iguana Bros have the opposite color pallet. it must be hard telling good from bad when you fight monsters..